Each day is a step closer to our dream of a North County San Diego urban oasis - packed with residents, students, offices, and outstanding retail amenities - restaurants, breweries, fitness centers and more! Scroll down to learn about the latest developments. Take a glimpse into the future development… more is coming! A draft example of Safdie Rabines Architects’ potential arial rendering of North City. Subject to change. 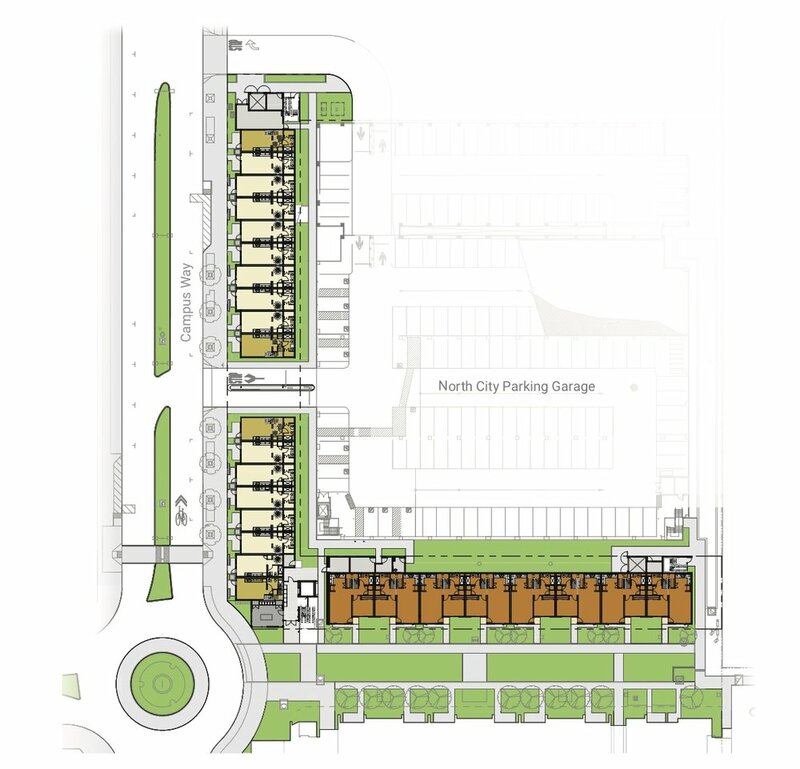 An extension of the BLOCK C APARTMENTS, these 66 modern, market rate units will continue the comfort, style, and “Work - Live - Play” lifestyle of North City. Live amongst a dynamic and growing community filled with amazing amenities and a fantastic mix of restaurants, coffee shops, taprooms and entertainment centers. Expanding the partnership of North City and CSUSM - anticipated completion in mid-2019. CSUSM's first Public/Private Partnership venture with developer University Villages San Marcos (UVSM/North City). The project consists of a 140,000 total sq.ft. building and will provide space for classrooms, laboratory, faculty, and administrative spaces for Extended Learning and their subsidiary departments: Global Education, American Language and Culture Institute and International Programs. Click HERE for renderings. PLUS - A walkable overpass built across Barham Drive. Umami (/u’ma:mi/,うま味) can be translated from Japanese as Deliciousness. Prep Kitchen opens their fourth location, complete with an exciting new menu from new chief culinary officer, Joseph Elevado.